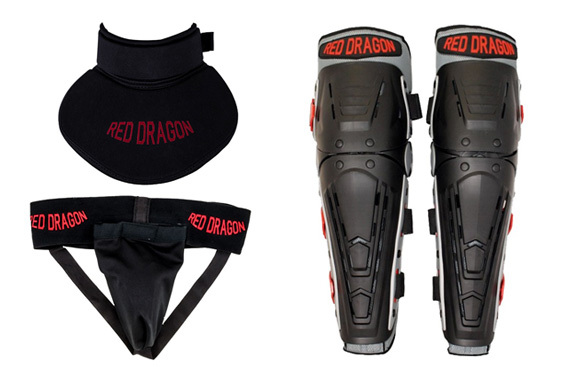 Here we show some examples of the equipment we are using in our club. You don’t need it all straight away and we have tried to make it so that there are cheaper options available, especially in the beginning. For that reason we offer a package of a cane and staff for ca 350SEK, and some swords to loan are also accessible the first few times, naturally depending on how many needs to borrow one. We strongly recommed you to get a mask, gloves and some form of longsword as soon as possible, since it makes the training both more fun and better. Our instructors are of course glad to help you with tips and recommendations. 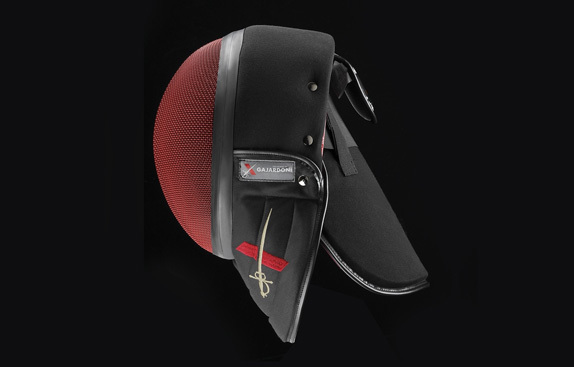 A fencing mask is important to get early on, partly because it protects you so you can feel safe when you practice, but also since it means that your training partner doesn’t have to worry about hurting you. Fencing masks come in many brands and the simplest ones cost about 500SEK, but the better ones that we prefer cost around 1200SEK and upwards. Some manufacturers make masks specifically for HEMA. It is important that the mask fits you well and has neck protection. A padded mask cover on the outside of the mask also makes it safer. The mask in the photo already has one integral to it. Gloves are of outmost importance and should be bought relatively soon after you have started training, since the hands easily get pinched or hit if you are not careful. 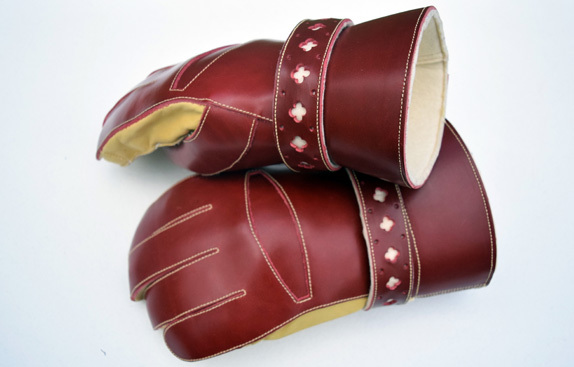 Up until a few years ago Lacrosse gloves were mostly used, but today there are gloves designed specifically for historical fencing, by manufacturers like e.g. Saint Mark, Sparringglove.com and TheHEMAShop. 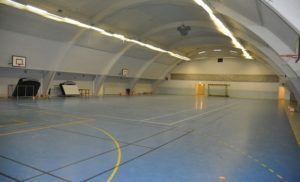 The prices vary from ca 500SEK to about 2000SEK. 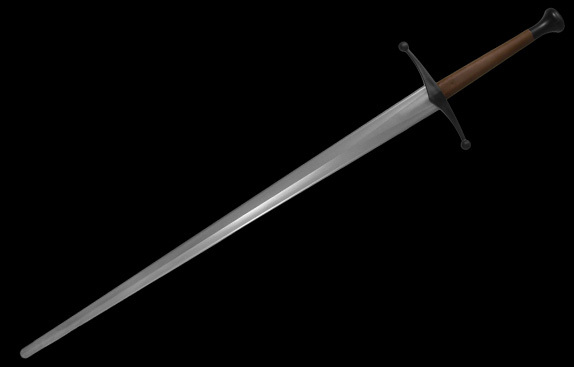 A dusack is a type of early sabre that appears in the fencing schools and on the battlefields during the first decades of the 1500s. In war, sharp dusacks of steel were of course used, but for training or tournament, dusacks made from wood or wood and leather were used. Today we mostly use dusacks made from nylon, or nylon and leather. Polish SPES and Purpleheart Armoury are two good manufacturers. The dusacks of SPES cost about 500SEK. 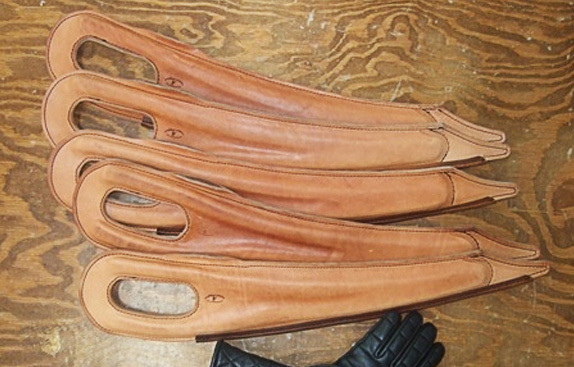 The leather dusacks from PurpleHeart Armoury cost about 1000SEK. In the beginning it is perfectly fine to just use a cane and the club has such for sale in a package together with a staff for about 350SEK. The staff is one of the simplest weapons, but since it is so powerful and subjected to such strong forces, it also needs to be of good quality. Regular bo intended for Asian martial arts work well, and cost from about 350SEK and up to a 1000SEK. Unfortunately there is no guarantee that a more expensive staff holds upp better. Things too look for is good wood grain structure and as few knots in the wood as possible. 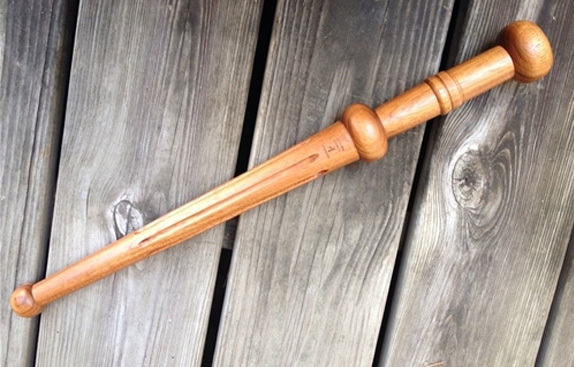 The staff should be made from oak, or like the staves we make ourselves; ash. Our own staves are sold in a package together with the shorter sticks we use for dusack training, for about 350SEK in total. A fencing jacket isn’t necessary in the beginning, but for more intensive sparring with longsword, or for tournaments, they are required. 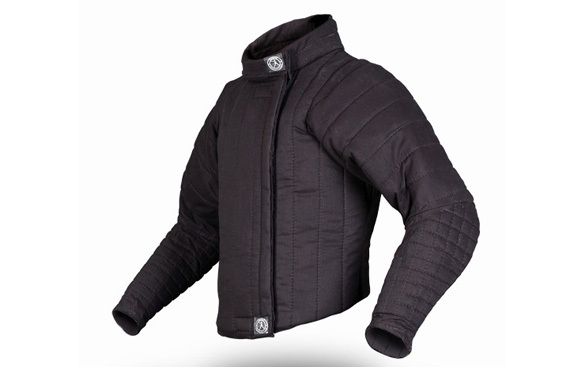 The most popular jacket is manufactured by Polish SPES, but Gajardoni and several others also make nice jackets. A good jacket costs about 2000SEK. But, you can also practice without one if you wish. For fencing, stable shoes with a thin sole and preferably a rounded heel are important. 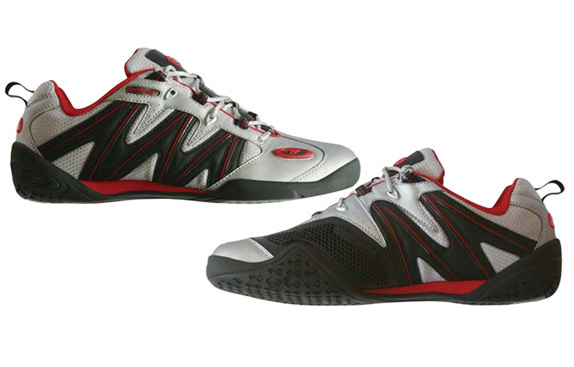 Sports fencing shoes, wrestling/boxing shoes and tennis or handball shoes can all work, a bit depending on model. The same is true for barefoot shoes, but some of those are unstable and do not always work well with quick stops in steps, which often happens in fencing. The daggers we use are of a historical design and are usually called rondel daggers. We only use wooden daggers, and a short stick of the length of your lower arm will also suffice. We have such for sale, but nicer wooden daggers can be ordered from e.g. Purpleheart Armoury or SPES. Historically, during practice and tournament, a particular training sword called a “fencing sword” or fechtschwert in German, was used. 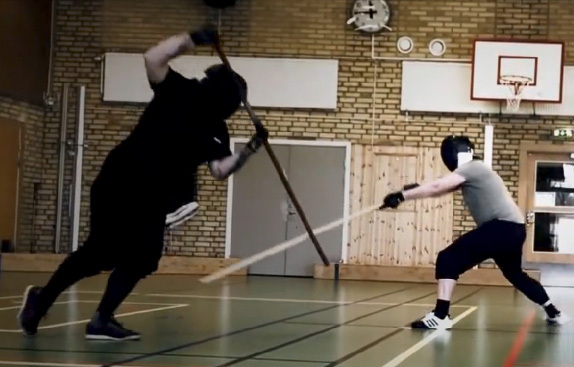 The longswords we mostly use in our training is of the same type and have their quite particular design. We have also together with a swordsmith created a particular club sword for adults, which is based on data from a real training sword from the end of the 16th century. These cost about 280€, i.e. about 3000SEK. 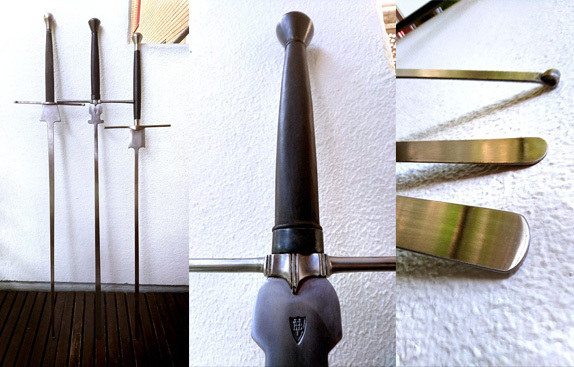 Somewhat cheaper swords can be found, but rarely below about 2300SEK. There are also nylon swords available that are cheaper and lighter, which makes them suitable for younger members. 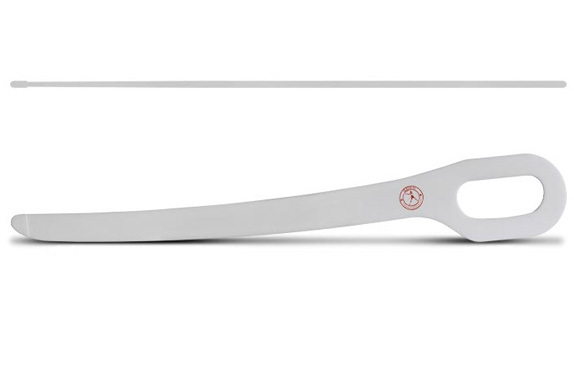 These cost about 600SEK from theHEMAShop. There are also better, but more expensive options from e.g. PurpleHeart Armoury. 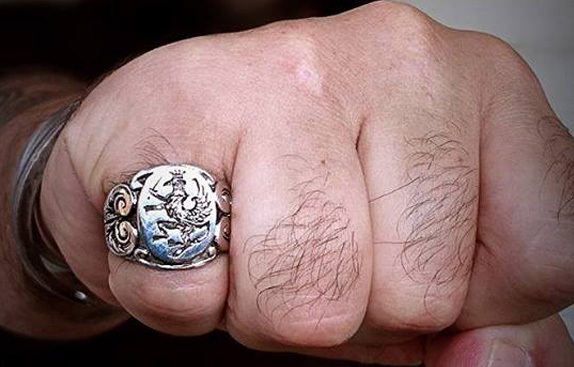 Our club has its very own ring with the mythological beast the griffin on its face. The club name we have taken from the fencing guild the Freifechter von der Feder, which was one of two official and licensed societies who taught martial arts during the Renaissance. Their symbol was the griffin, since the sharp gaze and claws of the eagle, and its agility, combined with the bravery and strength of the lion were characteristics they wanted to encourage in their fencers. 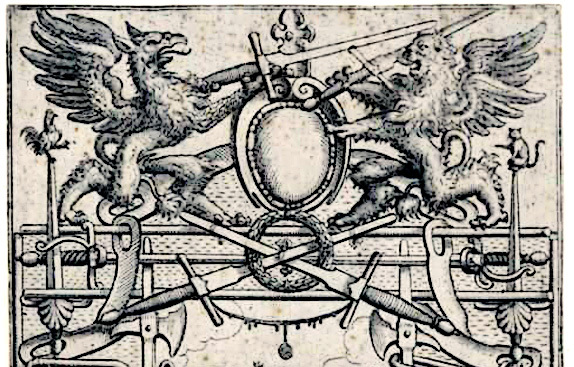 The author of the first Swedish manual in fencing, the royal fencing master of King Karl XI and King Karl XII, Diederich von Porath, also had a griffin holding a sword on his coat of arms. The ring is a copy of an antique ring that possibly was owned by a fencing master or even a member of the guild, and we have had a wonderful jewelry smith make it just for us. It can be ordered by our members at a very good price, in silver, bronze and brass.